We pride ourselves in building HIGH QUALITY products that last several seasons and by using materials that are naturally eco-friendly. 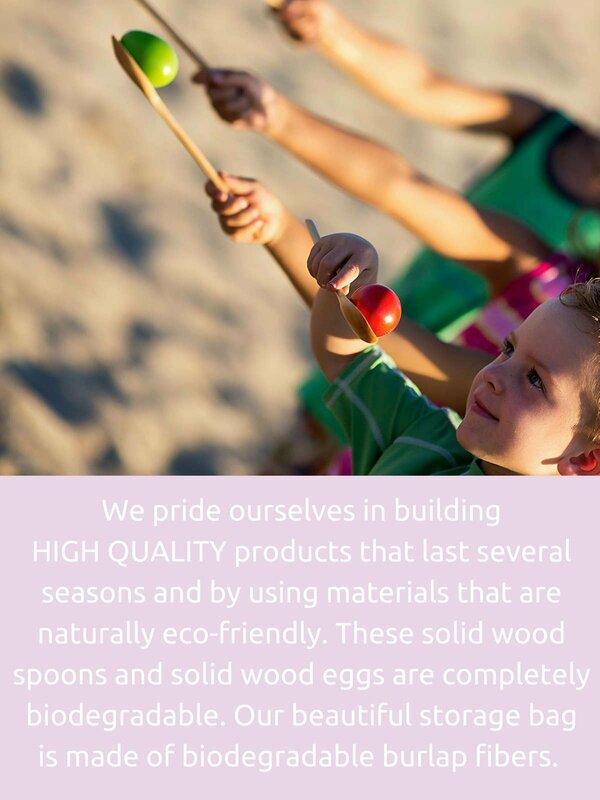 These solid wood spoons and solid wood eggs are completely biodegradable. Our beautiful carry/storage bag is made of biodegradable burlap/jute fibers. The design and aesthetic is as natural as it is attractive. 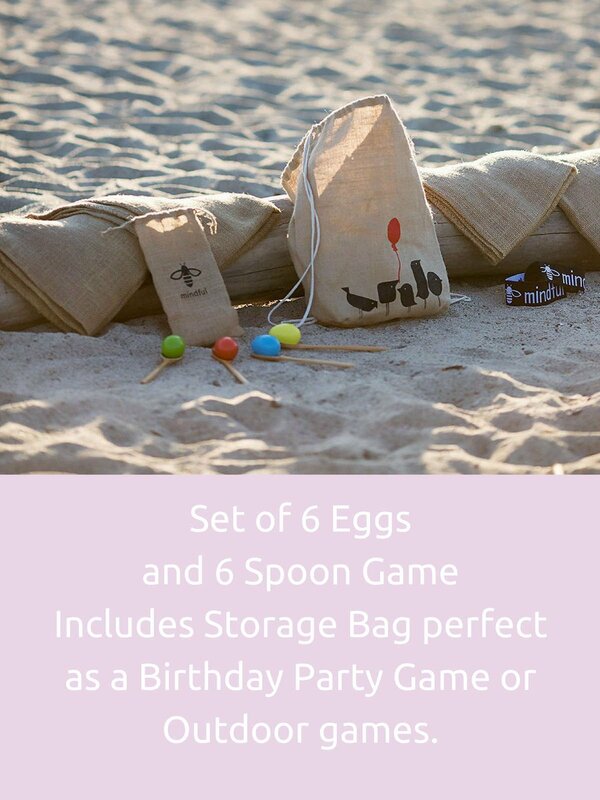 The skill in the Egg 'n' Spoon race is in your ability to run as quickly as you can across the finish line without dropping or touching your egg. 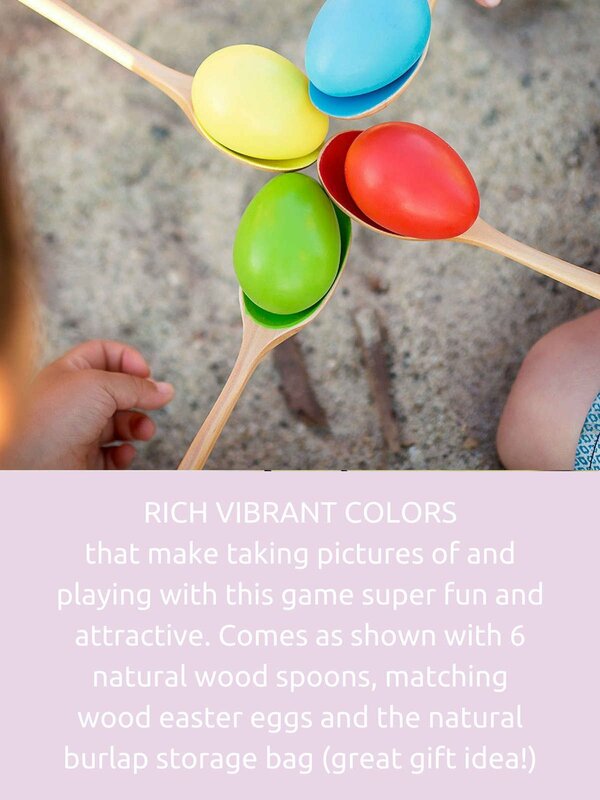 We've developed the perfect cradle in our custom spoon, it cradles the egg just right, to give you just enough encouragement to RUN FAST, while also requiring skill and coordination to maintain balance. Our light weight spoon is also ideally suitable for the smaller hands of children, as the handles are slightly flattened.